Tension over a shortage of facilities for organization of large-scale fairs and exhibitions has gradually become greater amid more and more foreign firms come to Vietnam to promote trade. Slow investment and investment of large-scale exhibition centers will cause the country to miss several opportunities to attract investments and boost tourism as well as transport and accommodation service. This situation was mentioned by exhibition and event organizers in the past years. Now, they have continued to raise the issue as the existing exhibition centers are always overloaded, leading to the risk that the country will fail to attract international groups to come to the country to promote trade due to a shortage of adequate facilities. 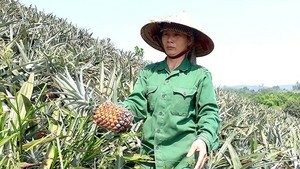 Being held for 13 times, the trade fair for processing, filling and packaging technology for Vietnam 2019 – ProPak Vietnam 2019 – which was held last March this year, saw the highest number of participants with 540 companies, ten times higher than its first edition and 110 participants higher than last year. Noticeably, up to 80 percent of exhibitors of the ProPak Vietnam 2019 came from 30 countries and territories. According to Mr. B.T.Tee, CEO of UBM Vietnam – the organizer of ProPak Vietnam, the country’s economy has been developing healthily and foreign firms also highly appreciate the market potential of Vietnam. He said that he was no longer worried that exhibitions held by his company in Vietnam would lack of participants. His biggest concern was that there would not be adequate facilities for organization of these events. The leader of UBM Vietnam said that exhibitors, especially multinational firms, were hesitant when promoting trade via exhibitions and trade fairs in Vietnam because even SECC - the most modern exhibition and convention center in Vietnam at the present – failed to provide sufficient space for exhibition. ‘Every firm wants to have a booth so as to decorate and carry out trading easily but the area of SECC is limited. Big foreign companies always ask for the best location to show their level so they will never agree to open their booths outside or in temporarily extended area,’ said Mr. Tee. Similarly, Mr. Huynh Van Hanh, vice chairman of the Handicraft and Wood Industry Association of Ho Chi Minh City (HAWA), one of the organizers of the Vietnam International Furniture and Home Accessories Fair 2019 (VIFA EXPO 2019), said that as for international firms and large corporations, they do not care much about booth rental but nice location in order to affirm the position of their brands. However, as local exhibition centers are small and there are not many of them in the country, organizers have been facing difficulties in arranging space for exhibition. For instance, the number of exhibitors participating in the VIFA EXPO this year increased by 23 percent compared to the previous year, reaching 2,420 booths, the highest number in 12 years of organization. However, SECC was only able to provide space for around 600 booths; the rest had to set up on the vacant land outside. 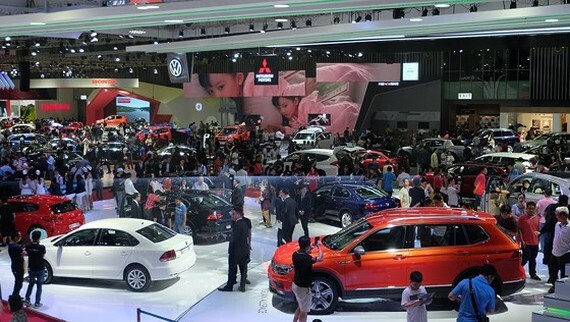 According to the Vietnam National Trade Fair and Advertising Company, many foreign partners of them also complained about a shortage of venues when holding exhibitions and trade fairs in Vietnam. SECC is currently the most modern exhibition center in the country but always overloaded. In the past years, exhibitions on industrial machineries, garment, textile, leather, footwear and food always faced insufficient exhibition space, especially exhibitions of automobiles, construction materials or wood products. The investor of SECC had made a plan to expand its area but after several years, construction has not started yet due to several reasons. Meanwhile, the event schedule at SECC is always full. Periodical exhibition organizers have to book 3-4 years in advance although they have not known the number of exhibitors participating in their events. Due to a shortage of large-scale exhibition centers, event organizers have had to use the space of sports venues, stadiums and parks for years. However, these places were not built for exhibition and trade fair activities so organizing events at these places were inconvenient and unprofessional. Amid economic integration, Vietnam has been attracting numerous foreign firms coming to the country to promote trade, seek for business opportunity and take part in exhibitions and trade fairs to do market research and understand consumer tastes. This is not only an activity to advertise products or promote trade but also a channel to boost investment attraction as well as development of other services. The venue of exhibition will have the chance to advertise the image and local products to the world. Vietnam is considered to be a new destination of several foreign firms but the development of exhibition sector remains sluggish. According to Mr. Huynh Van Thanh, the VIFA EXPO 2019 attracted more than 4,000 international visitors from 80 economies to Vietnam to look for business opportunities, proving that the country is not only an important destination in the region for wood processing industry but also contributes to the development of other industries, such as accommodation, tourism and transport. Mr. B.T.Tee said that, Vietnam has drawn attention of many enterprises in the world thanks to high economic growth and the country’s participation in several free trade agreements with other countries. Firms which had participated in exhibitions once saw the market potential, they would consider for investment. ‘We realized that they came to the country as exhibitors in the first time and as investors in the second time. If there is an international exhibition space in Ho Chi Minh City, attracting and maintaining investors will be more easily and conveniently’, said Mr. Huynh Van Hanh. Mr. B.T.Tee added that, in countries like Singapore, Thailand and Malaysia, exhibition industry has helped these countries earn lots of money. Exhibitors and visitors had spent billions of US dollar at annual exhibitions and trade fairs in these countries and gained multiplied economic efficiency in return. Therefore, if Vietnam delays investing in large exhibition centers, the country will miss several other opportunities. For years, Ho Chi Minh City had had plans to expand SECC but until now, the center still has not changed compared to when it came into operation more than nine years ago. The city also has a plan to open another international exhibition center in District 2 but it is unclear when the construction of that exhibition center is completed. Or in Hanoi, Giang Vo exhibition center will be replaced by an international counterpart in Co Loa but it is still unknown when it comes into operation.